Free partition recovery for Windows step by step, simple and easy! Why partition recovery is sometimes needed? - Partition gets corrupted due to virus attack, improper system shutdown, power outages, etc. How to do the free partition recovery for Windows? 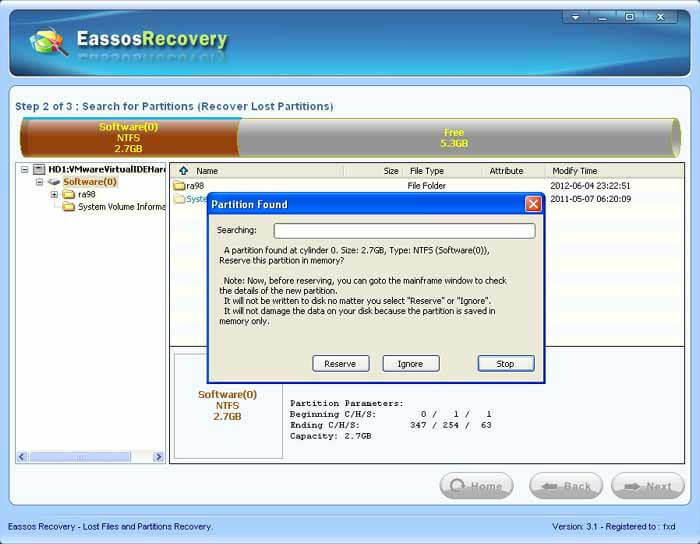 First and foremost, choose the best free partition recovery software, Eassos Recovery or PartitionGuru, before you actually do the partition recovery. 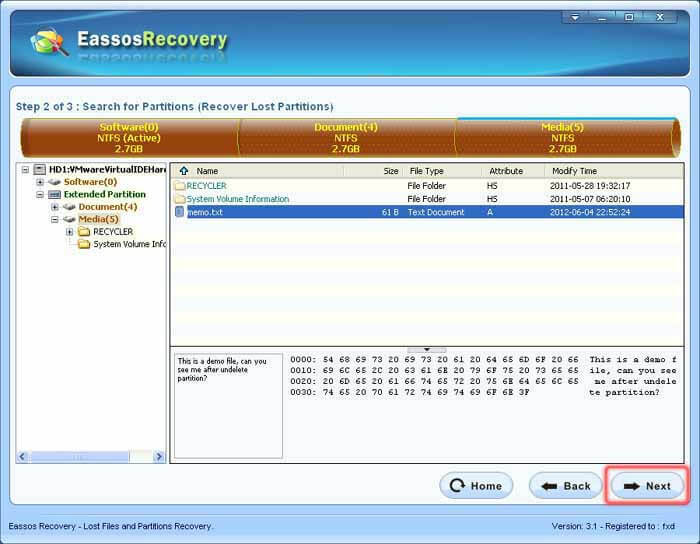 Eassos Recovery is a piece of powerful and easy-to use data recovery software, which can recover lost files and partitions quickly and easily. 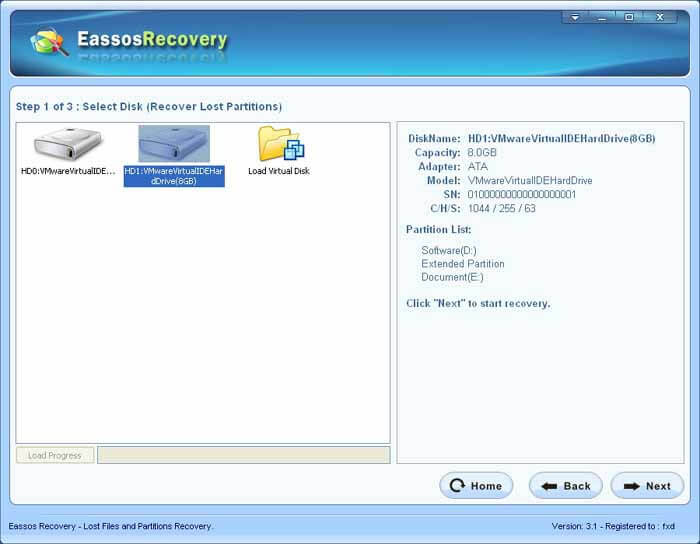 Eassos Recovery Free is the Free version of Eassos Recovery and the data it can recover is up to 1 GB! 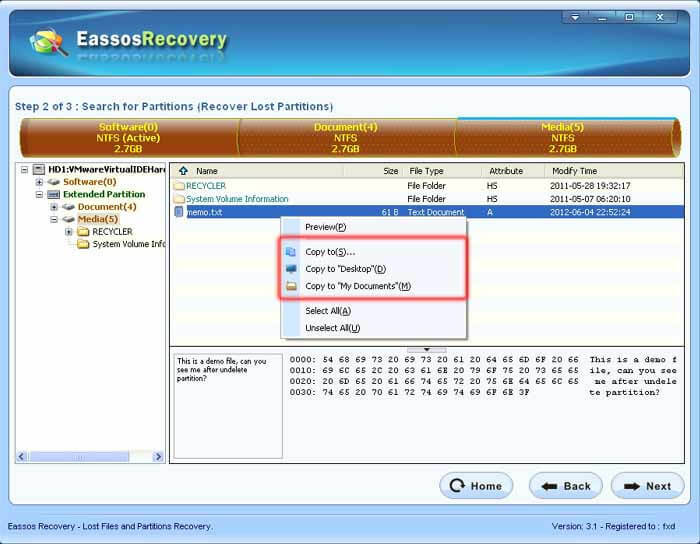 PartitionGuru is a data recovery partition management and backup & restore tool. It is widely praised and loved by numerous users all over the world, besides, it is an essential tool for data recovery and computer maintenance professionals! PartitionGuru Free is the Free version of PartitionGuru. Although some functions are limited, it is still an excellent tool and powerful enough to daily use. Free Partition Recovery Step 1: Select an appropriate partition recovery mode. There are five data recovery modes, and the first two modes, Recover Files From Partition and Recover Lost Partitions, are usually used to do the partition recovery. The first function deals with occasions that partition becomes RAW or inaccessible, while the second copes with partition recovery situation that partition gets lost. Here come the detailed steps of partition recovery for Windows, using the data recovery mode Recover Lost Partitions. If you want to know more about Recover Files From Partition, please visit here. Free Partition Recovery Step 2: Select the disk that needs partition recovery and search for partitions. To make a clear explanation, the author deleted the F partition, and the following picture shows the current partitions in PartitionGuru. The software starts searching for lost partitions. 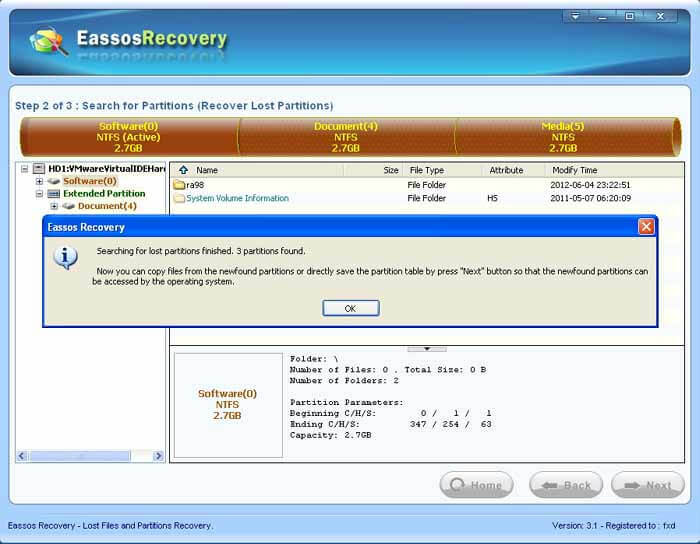 Free Partition Recovery Step 3: Identify partitions just found and decide whether to keep the partition or not. When a partition is found out, you need to judge whether to reserve it or not. Partition's location, size, volume label, etc. can be the c lue to make the decision;also you can just preview files. 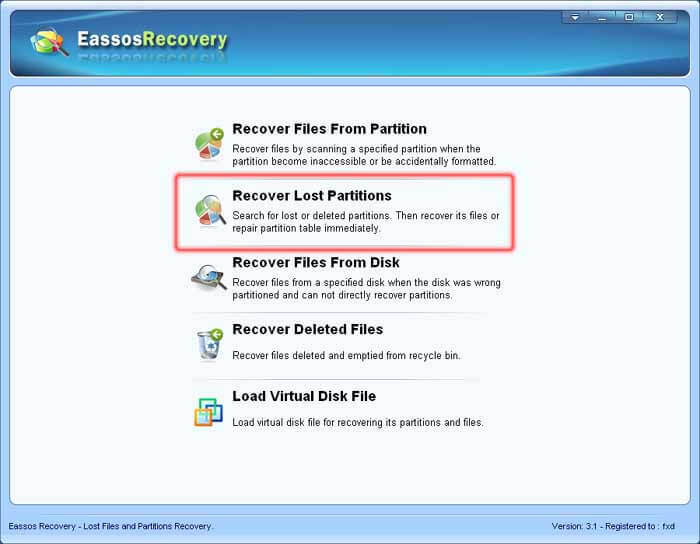 Click "Reserve" to keep partition, otherwise click "Ignore", then Eassos Recovery continues searching for lost partitions. Free Partition Recovery Step 4: Save files from the recovered partition. Click "OK", and then you can either click "Next" button to save partition table or just copy files and folders from the recovered partition. As in the picture above, select files and right click the mouse, and then on the context menu select an item to copy files out. 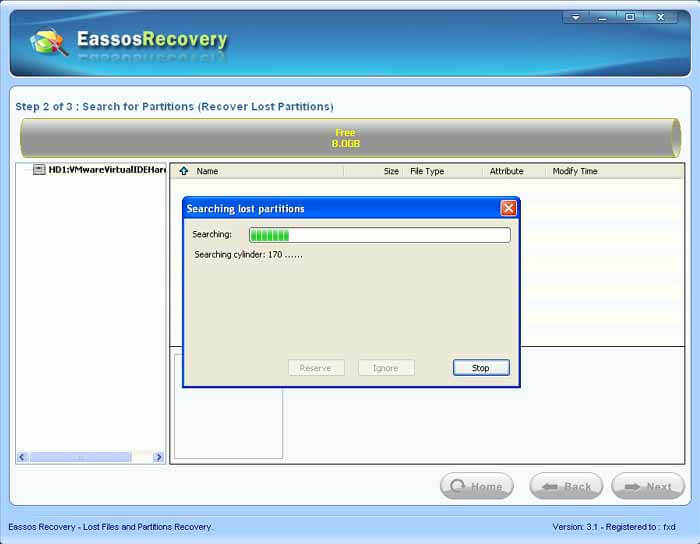 Free Partition Recovery Step 5: Save recovered partitions. As the following picture shows, click "Next" button to recover partition in-situ, which is much more convenient! 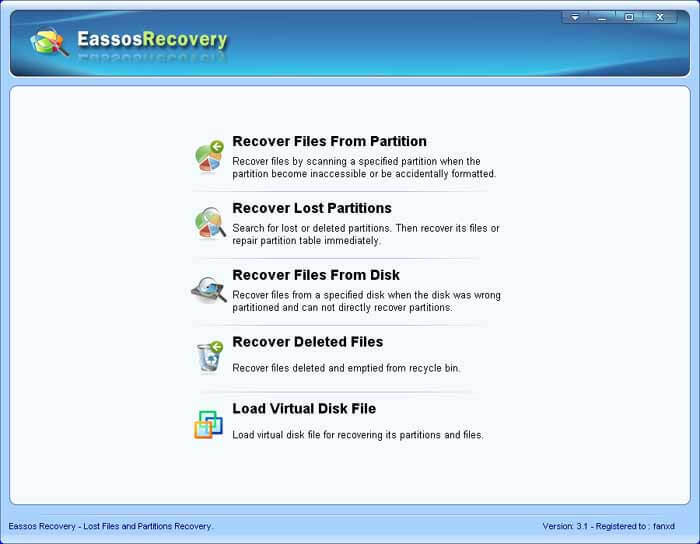 - When you meet with data loss, you can use either Eassos Recovery or PartitionGuru to recovery data and partitions.